Strativia has received a potential five-year, $75M contract to provide scientific, technical and engineering support services for the National Institute of Standards and Technology’s research programs. NIST announced the award in a FedBizOpps notice posted Thursday. 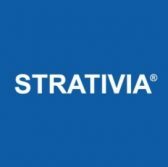 Strativia will do work that aims to help the agency further conduct studies on measurement science, standards and technology. The company will deliver its offerings in accordance with firm-fixed-price task orders. It will perform the work in Gaithersburg, Md. and Boulder, Colo. for one year. The contract includes four one-year option periods. The software company offers various technology, consulting and administrative services such as application and software development, systems integration, cybersecurity and information assurance, geographic information systems, and operations and maintenance.